We would love to meet you! Visit our campus to speak with program faculty and academic advisers, sit in on a class, or learn about careers in the field. You can schedule a campus visit by emailing us. Please include your area(s) of interest, availability for a visit, as well as what you would like to do while on campus. If an in-person visit isn’t possible, we can also arrange to meet you by Skype. Either way, we look forward to hearing from you. The Division of Graduate Medical Sciences is part of the Boston University Medical Campus, located in the historic South End of Boston. 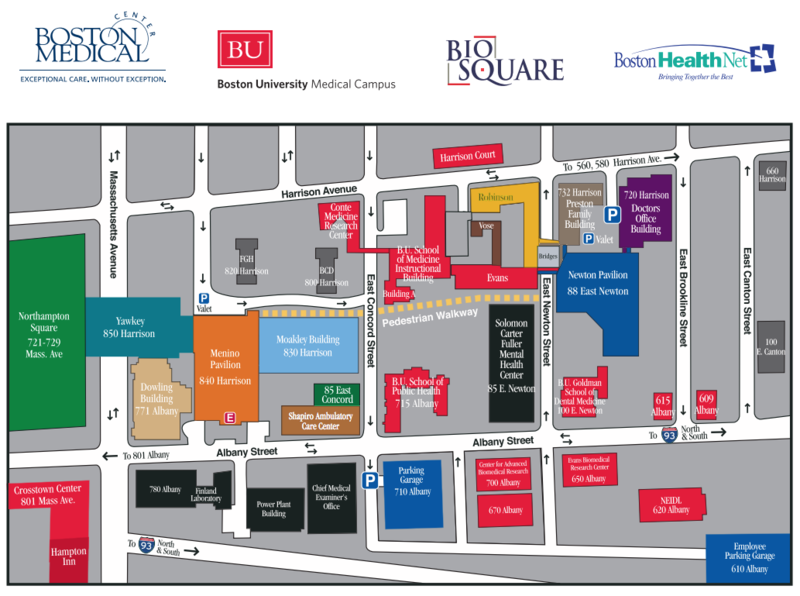 See here for campus maps, directions to campus and a list of suggested accommodations in the Boston area. We are located on the 10th floor of the Solomon Carter Fuller Mental Health Center, on the campus of Boston University School of Medicine, at 85 East Newton Street, in Suite 1025.